Over the past couple of years, Metro Wayside workers have been quietly replacing the system that takes power from the electrical grid and transfers it to the overhead wires on the Blue Line. The project will replace 20 substations along the Blue Line with equipment that is more modern and uses electricity about five percent more efficiently. It is budgeted at $82 million and is funded in part through a grant from the federal American Recovery and Reinvestment Act. The work began in July 2010 with the substation adjacent to Washington Station (shown above). Metro workers are currently removing the old substation and preparing the site for delivery of the 19th and final main line substation at 9th and Solana in Long Beach (shown below). 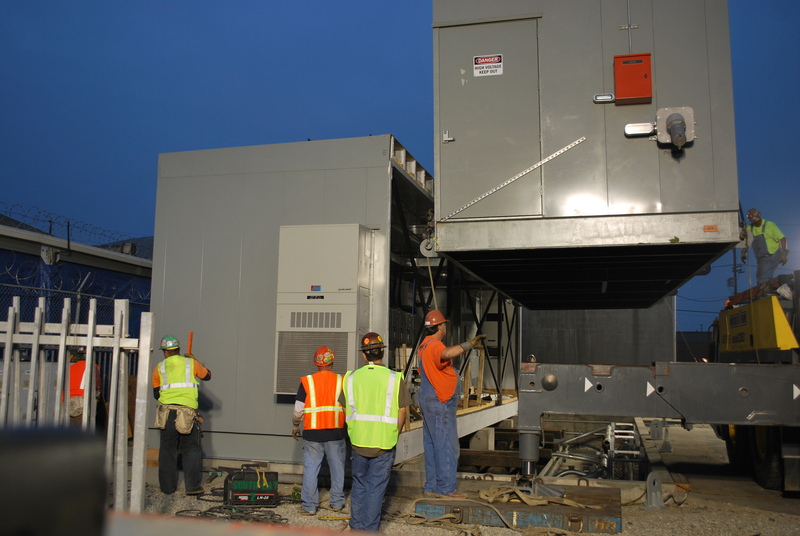 The new substation is anticipated to be in service next month. Metro has one substation left to replace after 9th street — the substation at the Blue Line maintenance facility in Carson. This is a big one: the substation covers 3,100 square feet and weights 187 tons. It’s actually three substations in one and will be delivered in five sections. The Blue Line opened in July of 1990 and it’s a very heavily used light rail line with more than 25 million annual boardings. What will this mean for Blue Line customers? It’s a matter or replacing old equipment before it becomes a problem, rather than replacing equipment that is already a problem (i.e. proactive rather than reactive maintenance). In the meantime, safety upgrades and other maintenance work will continue on the Blue Line. What is the design life of one of these substations? I have been following this project from the beginning because I live near one of substations in Long Beach. 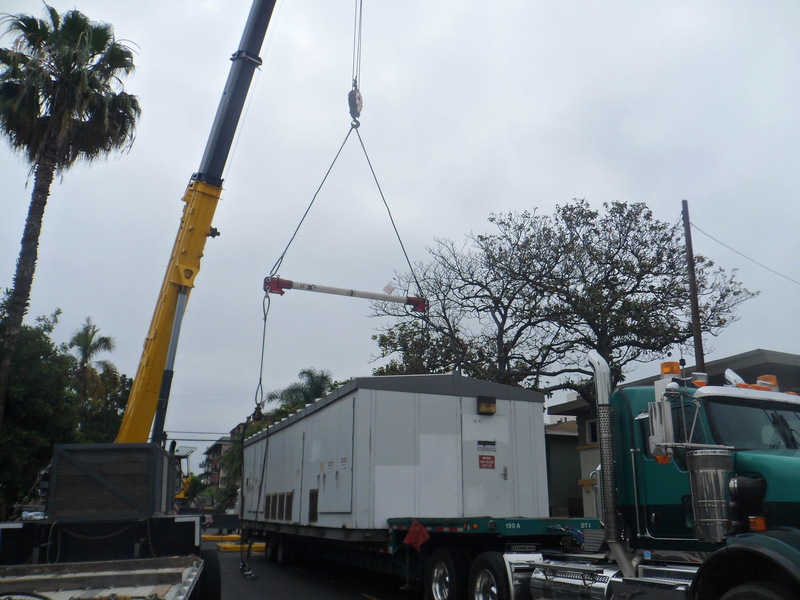 When it came time to replace the substation, MTA, its contractors, and the City of Long Beach never made an effort notify the neighbors of the potential impacts and construction activity that was going to take place over the course of a month. My biggest gripe was the diesel fuel deliveries at 4am in the morning, Every other day a large tanker would pull up early in the morning idle their truck and then figure out how to back into the narrow driveway, where the fuel tank for the generator that runs 24 hours a day for the whole duration of the construction. The other Issue was on delivery day, Most of the street and driveways were blocked with workers vehicles and the large crane that couldn’t be placed because the parking lot that it was going to do the lift in had a locked gate and no one had a key. Residents were stuck in their driveways until the work vehicles were moved. Sorry Metro, but poor planning on this one.